PLEASE SEE VIDEOS, 3D VIDEO layout. Salt Water Pool has both a Chiller for the hot summer months & a Heater for the cool nights. 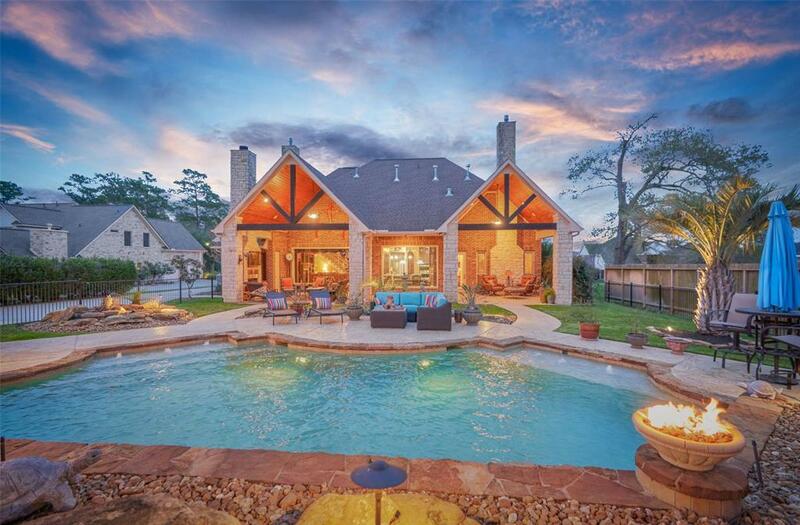 Luxury Living indoor and outdoor with water view of Lake Conroe. 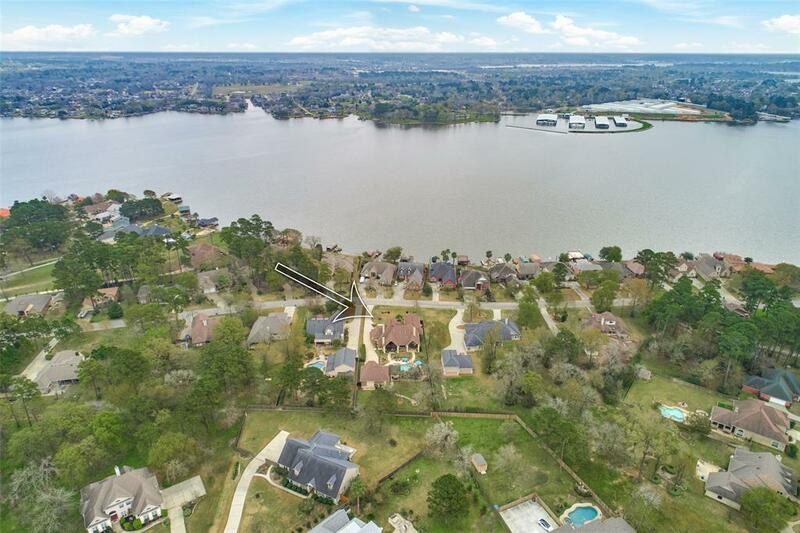 24 hour manned gated community on Lake Conroe, Point Aquarius w/Marina. Main House is 1.5 stories with 3 large walk in showers; 1 Copper Tub in Master positioned to view the Master Fireplace; total of 3 Fireplaces. 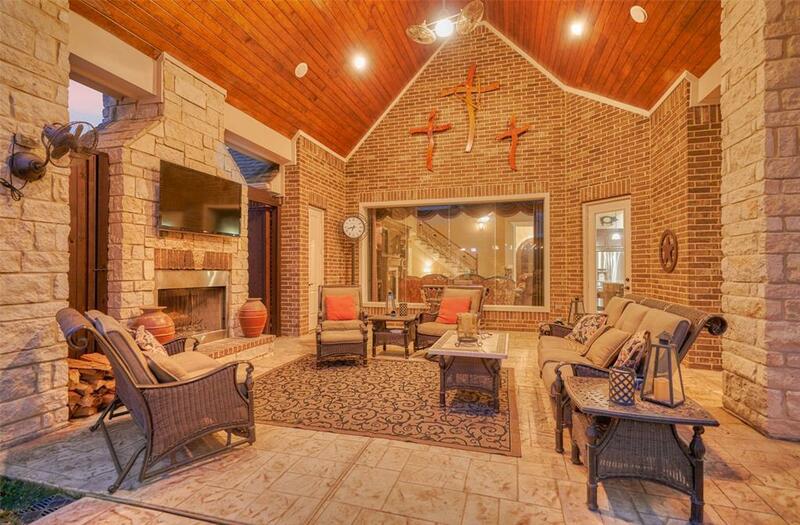 Yard is Pest Controlled to keep mosquitos/pest away from 4 Patios; outdoor fireplace, Pool Area and 2nd backyard. 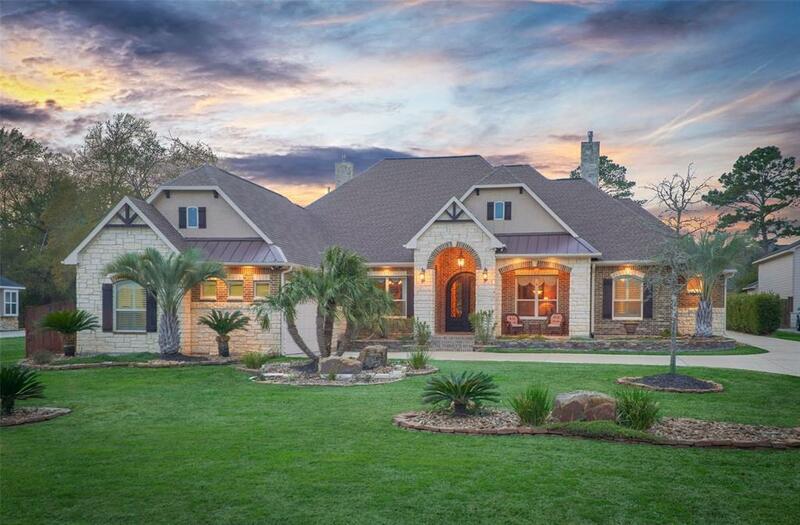 Landscaping with Living Rocks from South Texas & sprinkler system. The 2nd Garage/entertainment area has a full size bathroom with walk in Shower ;room above Garage floored for another room option; 2nd Wash/Dryer; 3 Garage Doors. Main House has true Wood Floors, Granite & Travertine throughout the house. Generator. Waterviews, Marina, Community Tennis Court, Basketball. 2 garages. Chef's Kitchen, 2 Convection Ovens, Custom Cabinets and more. Please see 3D pictures.